Department Stores in Phuket and shopping centers have been popping up all over the Island; to meet the demands of both locals and visitors to the Island. Most of us visitors arrive in Phuket with empty suitcases and leave with full ones. Or if your like us, you may even have to buy more suitcases to get all our shopping back home. These fashion stores are stocked with foreign goods, but at cheaper prices than you will find back home. Within the department stores there are a mixture of chain stores and independent shops, some of these will haggle their prices but not by much, you will generally find that they have fixed prices and what is marked is what you will pay. 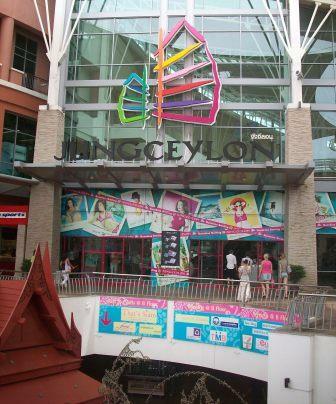 If you get tired of shopping in the humid weather, then head to Jungceylon Shopping Complex, located on Rat-U-Thit Road in Patong. 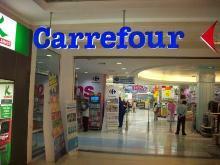 The two main stores in the complex are Robinsons and Carrefour a french based supermarket, as well as the other 200 shops that are located in the large complex. We can highly recommend the Jungceylon Water Fountain Show that is held daily at 1pm, 3pm, 7pm and 9pm, also the weekend markets. Jungceylon is a great place to hangout when the kids need a fix of KFC or Subway. Jungceylon is not just for shopping it has cinemas, bowling and laser games; only if you get sick of lying on the beach, and I wouldn't tell your kids about them. Have a look at the Jungceylon website and check out the upcoming events and the tourist privileges. 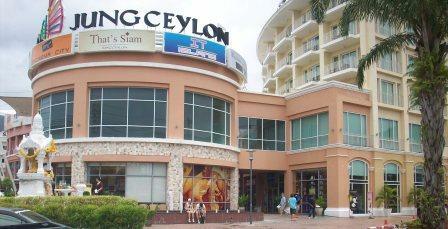 Ocean Shopping Mall was the first shopping complex on the Island, it is located 38/1-15 Tilok-U-Thit 1 Road. The mall has a good mix of brand name outfits and quality products, it contains a variety of clothing stores, souvenirs, and CD's for reasonable prices. There is also a cinema, games arcade, ten-pin bowling a play area for the kids and restaurants. 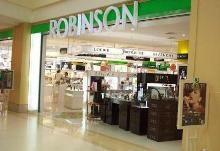 Robinsons Department Store is a five storey shopping mecca, located on Tilok-U-Thit, 1 Road in Phuket Town. There is a range of sporting goods, designer clothes, accessories, souvenirs, electrical appliances and just about everything you can think of. Trading Hours are 10.30 to 22.00 daily. 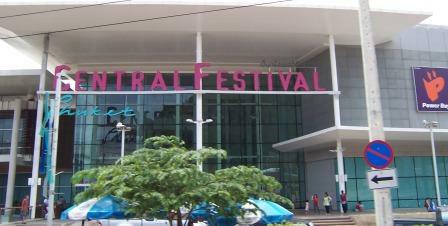 Central Festival is a luxury shopping mall located on the outskirts of Phuket Town on the corner of Wichit Songhram Road and Chalerm Prakiat known as the Bypass Road. This is a one stop shoppers paradise, which also has non stop entertainment for both locals and visitors. Within Central Festival is a 7 screen world class multiplex cinema and over 30 family & international fast food chains and restaurants. Shops galore, it has everything and more, with genuine perfumes, cosmetics, watches, jewelery, sunglasses and bags. There is a food hall, variety stores and Tops Supermarket that has a good range of spirits at good prices. Located throughout Central Festival are outlet stores such as Lacoste and Guess. 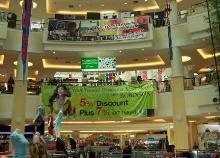 The prices here are a bit higher than other malls, but better than you will find at home. There is a tourist area where you will find money ex-changers as well as booking agents for trips. There is quiet a few ATM's, tour centres and banks at Central Festival, check out the website for more information and a detailed list of stores. Make sure that you head to the customer service counter to collect your 5% Tourist Privilege Discount Card, you will need your passport to get the card. 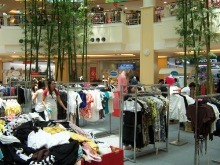 Alternatively take a shopping tour which takes in some of the best outlet stores in Phuket.